Static Patterns and Souvenirs is the second album of remarkably orchestrated songwriting by the Nottingham, England quartet. 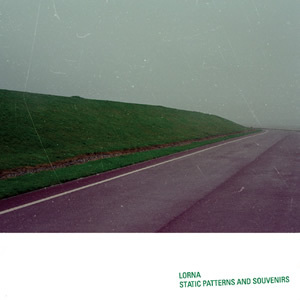 Lorna uses Scottish pop, postrock, Americana, and dream pop as signposts, but invigorates each of these genres by injecting a complex, yet seamless array of instrumentation, both traditional (pedal steel, classical guitar, flute, vibraphone, viola, banjo, French horn, flugelhorn, harmonica, mandola) and experimental (theremin, found noises, electronics). This orchestration serves as an innovative anchor to the compelling melodies sung, often in tandum, by Mark Rolfe, Sharon Cohen, and James Allen. The album is inaugurated with "Understanding Heavy Metal Parts I and II." Part I is a beautifully mild-mannered pop song in the vein of Mazzy Star, with flourishes of banjo, harmonica, and trumpet. The song eventually segues into Part II — a two-minute instrumental coda with an electronic-fused rhythmic underbelly punctuated by vibraphone and trumpet melodies. "Homerun" is a leisurely-paced piece with the vocals of Cohen, Allen, and Rolfe presiding over a more sparing instrumental mix that brings to mind the music and vocal coupling of Jason and Luisa Gough of Words On Music labelmates Coastal. Lorna accelerates the pace with "The Last Mosquito Fight of Summer" — propelled by briskly syncopated brushed snare strokes and Allen's "Pictures of You"-esque bass line. The song contains a rousing instrumental chorus, highlighted by a Morricone-tinged theremin melody, and closes with fading trails of electronics, radio noise, and a melancholic assembly of violas. "Remarkable Things" is inspired by the John McGregor novel about a day in the life of small British town with children left to their own devices and imaginations. Rolfe and Cohen sing over a naked bed of classic country instrumentation of banjo, acoustic guitars, and pedal steel. The orchestration eventually builds to a climax with alternating melodic passages by Matthew Harrison's flute and Dave Machell's flugelhorn. "Swans" is one of the most gorgeously crafted compositions on the album, with the first two verses bridged first by a harmonica solo and then a surge of flutes, trumpets, and synthesizers. "The Swimmer" is an achingly moving ballad sung by Allen with Marc Ransley's languorous pedal steel paving the way for Rolfe's banjo plucks and bubbling keyboard noises. "Memories betray me / And now I'm lost / No place stays the same," ends the song's memorable refrain about the travails of a long-distance relationship. The chords progressions and Cohen's beatific voice on "Be Forever" revive the wondrous music of David Lynch's Twin Peaks. "Snow Song" was penned by Coastal producer Aaron Jasinski and is interpreted on this recording by Lorna through the lens of American Analog Set. "Will You Still Love Me Yesterday?" exposes the gorgeous, raw unaffectedness of Allen's voice — with his verses encasing an extended episode of rumbling timpanis, theremin, and viola. 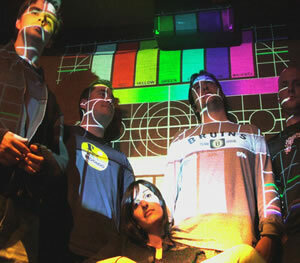 "He Dreams of Spaceships," is the first song written for the band by long-time member Matthew Harrison. On it Cohen sings about the sad, forgotten story of Laika the Soviet space dog against a deceivingly warm backdrop of Scottish pop suggesting Camera Obscura or Sarah Martin of Belle and Sebastian. The measured postrock composition "Illuminations" closes the album, building from its bare opening verses with passages of flute, trumpet, banjo, and experimental noises, only to conclude with pulsating electronics, a Twin Peaks "Red Room" muted trumpet, and ringing vibraphone melodies. Languid indie beauty from Nottingham. A languorous intoxication decanted from torch tradition, the Velvet's third album, and the delicate end of '90s shoegazing, Static Patterns and Souvenirs owes almost nothing to contemporary musical fashion. In what might be Words On Music's strongest release to date, Static Patterns and Souvenirs bubbles over with creativity, beauty, and musical sensitivity. There will be very few releases in 2005 that could stand up against Static Patterns and Souvenirs in terms of execution, inventiveness, and sheer beauty. Highly recommended. One of the most gorgeous albums you'll hear this year. An album to treasure. If you are in need of luscious, luxurious, textured, innately beautiful songs to make your world a better place then Lorna have a record for you. It really is that simple. While there are many indie bands who can do slow-core and dreampop, I dare someone to find an equal to Static Patterns and Souvenirs. Lorna has a knack for the magestic and brings it on like a champion heavy-weight boxer or a strong glass of wine. This release will knock you out. An achingly gorgeous album. The songs combine the intimacy of one person singing into your ear with the transcendence of a group that can conjure up the feeling of an open galaxy, or an empty desert. Through a holy combination of melody, atmosphere, and heart, Lorna create music that slows down the world so we can breathe. A seamless blend of Scottish pop, Midwestern blues, dream pop, and post-rock.